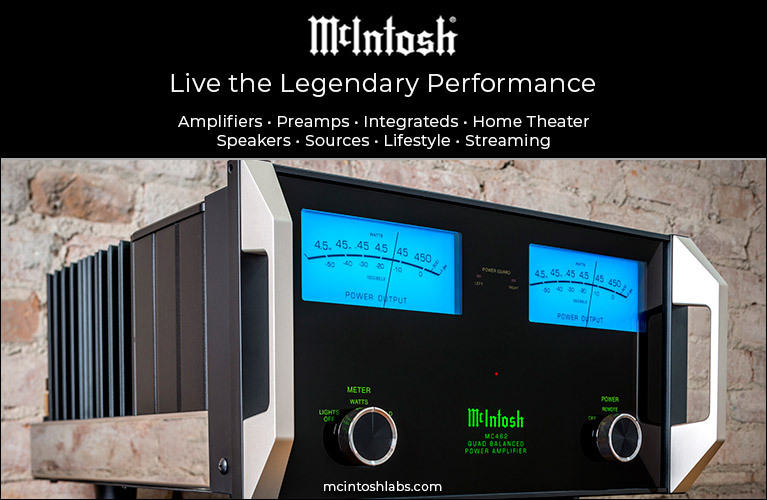 In recent years, Definitive Technology has produced many lifestyle products: sound bars, wireless speakers, headphones, and their Mythos line of elegant but still very-high-performance speakers in gorgeous enclosures of curved aluminum. In the 1990s, however, DefTech’s very first speakers were bipolar designs, and they continue to develop that technology. 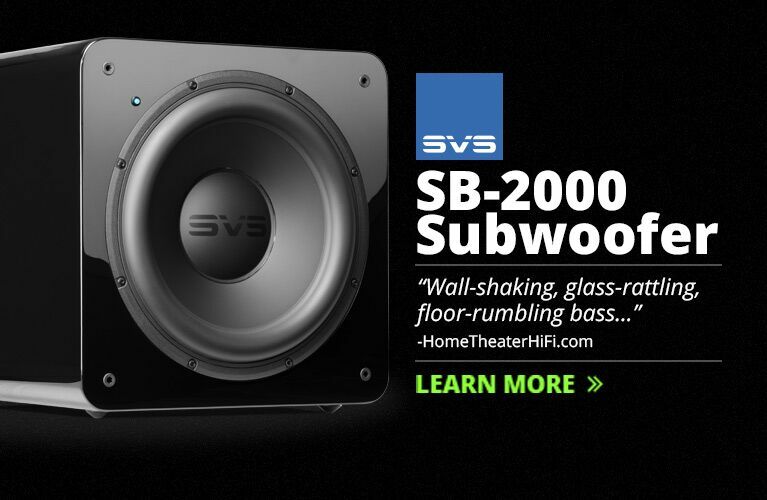 Their latest products are from their new BP9000 series of bipolar models, many of which include built-in powered subwoofers. Based on the BP8000 series, the extensive BP9000 line includes multiple floorstanding, center, and surround models, and an elevation module that can be attached to the floorstanders to reproduce the height channels of Dolby Atmos and DTS:X soundtracks. I received review samples of the largest floorstander, the BP9080x ($3498 USD per pair). Definitive Technology’s BP9080x is tall and slim, measuring 50.5”H x 7”W x 16”D and weighing 62 pounds. Its driver complement is nearly the same as that of its predecessor, the BP-8080ST SuperTower, but according to DefTech, all of the drivers, crossover components, and electronics have been upgraded over the previous model. The new speaker also looks quite a bit different. The edges are a bit more angular, though most of the cabinet is still covered by the sock of black cloth that has long adorned DefTech’s bipolar models. The BP8000s’ small plastic outrigger feet have been replaced by a sturdier aluminum base, and the most distinctive new feature is the aluminum elevation enclosure that caps the cabinet. This houses an upward-firing bass-midrange driver and tweeter for a Dolby Atmos/DTS:X height channel. Unlike the other floorstanders in the BP9000 series, which can be fitted with an optional elevation module, the BP9080x’s elevation module is built in. The BP9080x has a 455W amplifier for its built-in subwoofer section, which comprises an opposed pair of 12” passive radiators on the side panels, and above them, a 12” driver on the left side. 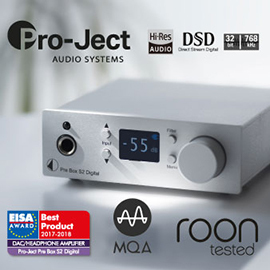 It employs Intelligent Bass Control with DSP, which DefTech claims better controls the volume in the two lowest octaves, while maintaining the blend of the woofers’ outputs with the outputs of the midrange drivers, for a clearer midrange sound. The subwoofer output is adjusted via a dial on the rear panel, but I wish DefTech had included a remote control for the sub, as they do with their Mythos ST-L. Granted, the Mythos ST-L costs $1500/pair more, but with the remote, I could adjust the ST-L’s bass output from my listening chair. The BP9080x’s forward-firing drivers comprise a D’Appolito array: two 5.25” midrange drivers with polypropylene cones, above and below a 1” aluminum-dome tweeter, all three in their own compartment to isolate them from the subwoofer’s output. Around back, in their own subenclosure, are two rear-firing drivers: a 1” tweeter and a 5.25” midrange. The surrounds of these Balanced Double Surround System (BDDS) midrange drivers support the cones at both their inner and outer edges, for more linear excursion. The flared phase plugs, called Linear Response Waveguides, are intended to provide more linear frequency response on and off axis. The most notable change to the crossover in the BP9000 models is the addition of a high-pass network to the midrange driver, to create a third-order alignment -- DefTech says this better complements the third-order alignment of the subwoofer section. The BP9080x also includes DefTech’s Forward-Focused bipolar technology, designed to reduce the speaker’s rear output by 6dB to provide better imaging and localization while retaining much of the spaciousness of sound that bipolar speakers are known for. 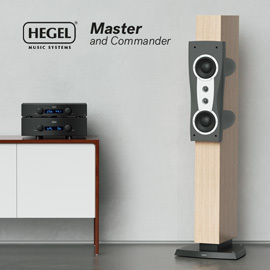 The elevation module at the top of the speaker contains the same 1” tweeter and a 4.5” bass-midrange driver, but these drivers are angled forward, and covered by a removable grille attached with magnets. At the speaker’s bottom rear is a panel with high-level inputs for the main and elevation channels, a line-level input for the LFE channel, a subwoofer level control, an LED power indicator, and a standard IEC inlet for the power cord. At the bottom of the sock on the front, the DefTech logo glows a cool blue when the speaker is powered up. Adjustable spikes and floor glides for the base are provided. Overall, the BP9080x appears to be a significant improvement over the BP-8080ST SuperTower, both aesthetically and considering the many technical improvements made to nearly every component part, including the addition of an integral elevation module. But it all comes at a price -- the BP9080x costs $500 more per pair than the BP-8080ST. I used the BP9080xes in a two-channel configuration, primarily with an Oppo UDP-205 4K UHD universal BD player used as a DAC-preamp and an NAD Masters Series M27 power amplifier. They also spent some time with a NuPrime IDA-8 DAC-integrated amplifier. The digital source was my Asus VivoBook X200MA laptop computer running Windows 10, foobar2000, and Roon. Setting up the DefTechs was relatively simple and straightforward. I placed them in the usual positions for stereo speakers in my room, and experimented with toe-in until I achieved a solid center image. I then adjusted the subwoofer level until the bass was to my liking: a setting of 11 o’clock worked best in my room. Measuring the speakers with my trusty old RadioShack SPL meter confirmed that my adjusting of the subwoofer level by ear had resulted in a relatively flat in-room response. Over the years, I’ve owned Definitive Technology’s original BP10 bipolar model; the StudioMonitor 45; and their current flagship, the Mythos ST-L. I still own a pair of BP-8080ST SuperTowers, and I’ve reviewed the Mythos STS. My initial impression of the new BP9080x was that its sound was neutral and clear, with plenty of deep bass. Like other recent DefTech bipolar models, it had an expansive soundstage, with surprisingly good image specificity. As I listened to Robbie Robertson and the Red Road Ensemble’s Music for the Native Americans (16-bit/44.1kHz FLAC, Capitol), the sound was big and absolutely rock-solid, with the percussion’s complex rhythms spread uniformly between the speakers. The traditional drums in “Akua Tuta” had a dense, organic quality, and the acoustic guitar sounded particularly realistic. Solo male voices were startlingly natural and relaxed, if a little recessed in placement. This track begins with the sounds of footsteps and birds -- though recorded at relatively low levels, both were exceptionally clear and well defined. Later, when the electric guitar enters with more drums and backing vocals, the speakers presented a wonderfully wide, deep, wholly cohesive soundstage. The low rumbling at the beginning of “Fallen Angel,” from Robbie Robertson (16/44.1 FLAC, Universal), was amazingly deep and controlled. 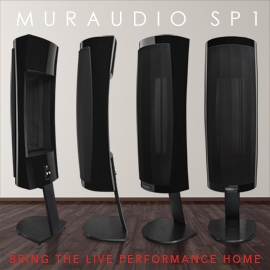 Even when I played this track at what some would consider insanely high volume levels, the BP9080xes’ subwoofer sections remained steadfastly composed -- the room began to overload before the speaker exhibited any noticeable distortion. Robertson’s voice was always clear and remained firmly at the center of the soundstage, neither set back nor pushed forward. Peter Gabriel’s backing vocal was placed slightly to the left, sounding crisp but never screechy, even at extraordinarily high volumes. The BP9080xes sounded impressive even with recordings that lack massive scale and/or subsonic bass. Lady Gaga’s minimally processed voice at the beginning of “Million Reasons,” from her Joanne (16/44.1 FLAC, Universal), had a wonderful presence and clarity that were dazzling with minimal accompaniment, and retained their authority later in the track, when she’s accompanied by piano and powerfully strummed acoustic guitar. The DefTechs were also able to convey the delicate, woody resonance of the guitar when its body was tapped with fingers. The BP9080xes were as at home reproducing this understated acoustic recording as when pounding out many of my reference bass torture tracks. Bruce Cockburn’s acoustic guitar in “Pacing the Cage,” from his Anything Anytime Anywhere: Singles 1979-2002 (16/44.1 FLAC, Rounder), was refreshingly clear, with a sparkling quality, while his voice sounded natural, with just a touch of warmth. There was an honesty to the sound of Cockburn’s voice as he strained slightly to reach notes at the limit of his range. While the BP9080xes reproduced each pluck of the guitar strings with lightning precision, placing them slightly to the left and above the voice, it also reproduced the wonderfully full, rich sound of the late Rob Wasserman’s standup electric bass while still expertly articulating each of his soulfully played notes. Cockburn and Wasserman’s live version of “Lovers in a Dangerous Time,” from The Best of the Columbia Records Radio Hour, Volume 1 (16/44.1 FLAC, Columbia), is a less polished recording that places instruments and voices all pretty much dead center, with more diffuse image outlines. Cockburn’s voice is also missing some of the immediacy it has in “Pacing the Cage,” a studio recording. Yet the clarity of the BP9080xes let me sense the urgency in his voice, and follow Wasserman’s rhythm -- the DefTechs were able to control and articulate the somewhat looser sound of his instrument in this recording. Compared to the BP-8080ST SuperTower (discontinued, $2998/pair when available), the sound of the BP9080x was better in almost every respect. The BP-8080ST sounds at times a little clearer in the midrange, but some might also consider it slightly leaner. The BP9080x was a bit warmer with voices, as in the acoustic version of “No One” from Alicia Keys’s Vault Playlist Vol.1 (EP, 16/44.1 FLAC, RCA). The speaker was detailed and transparent enough to reveal the processing that gives her voice a pleasing but somewhat unnaturally fast reverb and a quick decay. The breathtakingly simple, almost stark quality of this recording was conveyed by the BP9080xes, but they gave voice and instruments more body than I’ve heard through the BP-8080STs. With the BP-8080ST, Keys’s voice can sound a bit compressed at high volumes, and while the acoustic guitar strings have a realistically steely quality, the lowest notes lack the richness they had through the BP9080x. Dynamics and the ability to play extremely loud with little distortion were two of the BP9080x’s strengths. It could even play louder without strain than the BP-8080ST. I could play Lady Gaga’s “Starstruck” at volumes so high the hand claps were frighteningly loud -- though I heard no distortion, I feared I’d damage the speakers. (I was probably more likely to damage my hearing.) Not only could the BP9080x play louder than the BP-8080ST, its bass was tighter. As I listened to “Starstruck,” I could feel my laptop’s keyboard vibrating as I typed, but there was no sign of distress from the speakers. The BP-8080ST can play almost as loudly, but its bass isn’t as controlled, and the hand claps lacked the strikingly visceral impact they had through the BP9080x. The BP9080x also compared favorably with my longtime reference floorstanders, KEF’s R900s ($4999.98/pair). The opening synth chords in “Where the Streets Have No Name,” from U2’s The Joshua Tree: 30th Anniversary Super Deluxe Edition (16/44.1 FLAC, Universal), were ominously low, and the kick drum -- which is recorded at an unexpectedly low level -- was sufficiently deep. Though the synth didn’t go as deep through the R900s, it was still very satisfying, but the kick drum was a little light. 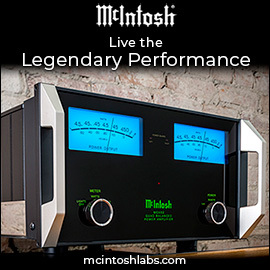 The R900s’ incredibly smooth, well-integrated midrange and treble were evident with The Edge’s electric-guitar intro, which sounded exceptionally clear, and smoother than it had through the BP9080xes -- it was almost ethereal as it floated between the speakers, and Bono’s voice had slightly more weight and presence. 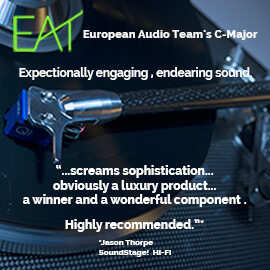 The R900s sounded fantastic when driven by NAD’s M27 Masters Series, a 180Wpc power amp, but struggled to reach the same exalted level of audio excellence with NuPrime’s IDA-8, a 100Wpc DAC-integrated. “Where the Streets Have No Name” was still very enjoyable, but the bigger soundstage of the remastered Joshua Tree wasn’t as wide. The Edge’s guitar still sounded clean and precise, but didn’t float as freely and effortlessly in mid-air. The kick drum was also further reduced in weight with the less powerful amp, as was the synth. Even with its powered subwoofer section, the BP9080x sounded less accomplished with the lower-powered IDA-8, but the reduction in performance wasn’t as pronounced as with the KEFs. The imaging in “Starstruck” wasn’t as specific and the hand claps weren’t as incisive, but the overall sound was still almost as pleasing as with the NAD M27, with tons of slam and a deep, wide soundstage. Like all speakers, the BP9080x will sound best with a high-quality, high-powered amplifier -- but compared with the KEF R900, its sound was compromised surprisingly little when I drove it with a lower-powered amp. As for DefTech’s own BP-8080ST SuperTower, the BP9080x is overall a substantial improvement, able to play louder with less distortion, and with sound that was even more neutral and precise. I’ve heard many Definitive Technology loudspeakers over the years, and the BP9080x is probably my favorite. Yes, their direct-radiating Mythos ST-L, clad in aircraft-grade aluminum, is aesthetically stunning and slightly more refined, but it also costs $4998/pair -- the BP9080x is a relative bargain. 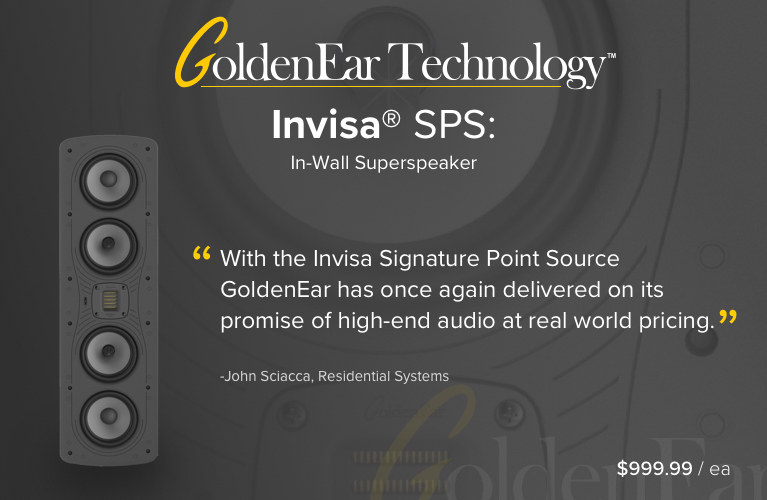 With high-fidelity sound and the ability to play at incredibly high volume levels, it’s one of the best speakers available at or near $3498/pair. 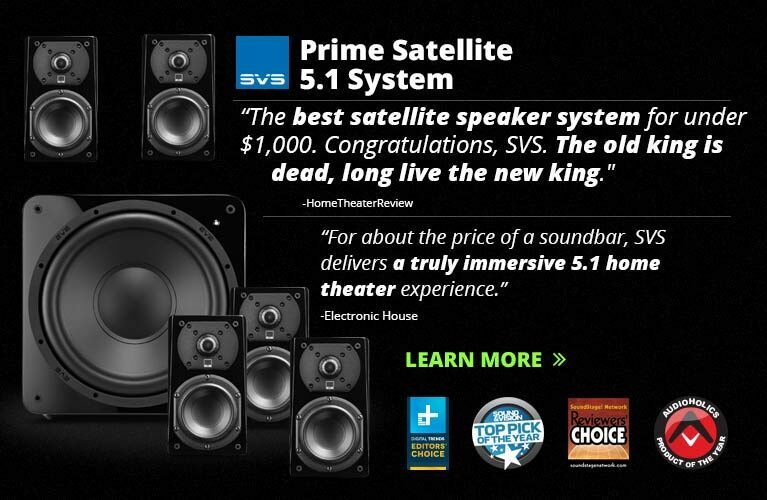 It’s easy to think that, with its built-in elevation module, the BP9080x is intended only for home-theater use. But a well-designed speaker should perform well in any sort of system, two-channel or multichannel, and the BP9080x is a damn good speaker. My only criticism is that when it’s used in a two-channel system the integral elevation module is useless -- you’ve paid for something you’ll never use. Otherwise, I can’t recommend the Definitive Technology BP9080x highly enough for use in any high-performance, high-value audio system. Price: $3498 USD per pair. Warranties: Drivers, crossovers, and cabinets, five years; amplifiers and electronics, three years.